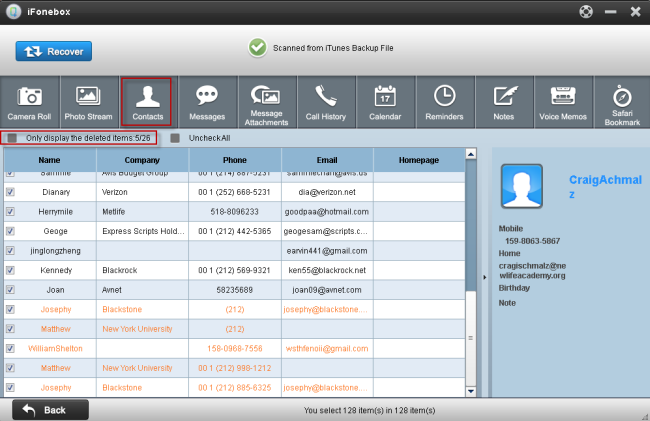 Well, you are lucky to have a chance to restore contacts from stolen iPhone with the help of iFonebox. IFonebox enables you to preview the contacts, and the most important is that you can restore iPhone contacts with backup freely. Step 1. Choose a recovery mode. Run iFonebox and connect your iPhone 5S to the computer. You’ll see the window below. 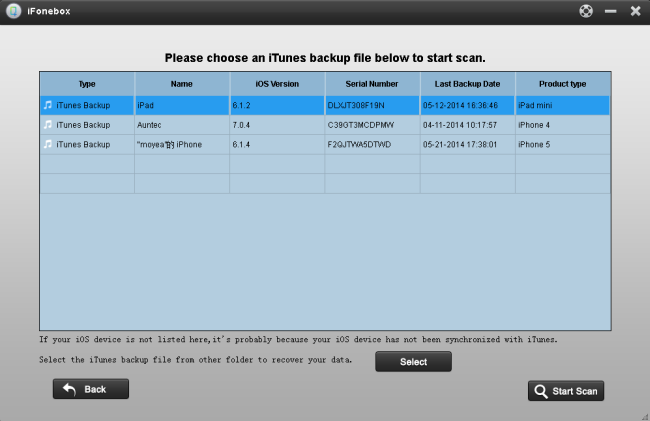 Then select “Recover from iTunes backup” to scan data. Step 2. Select an iTunes backup for your iPhone 5S. All of the iTunes backup you synced with this computer will be displayed. Just choose the one you need and click “Start Scan” bottom. Step 3. Preview and recover deleted contacts. IFonebox will scan your iPhone 5S automatically. Then you will see all of the data displayed in the interface. You can click “Contacts” to preview all your contacts including the deleted one. 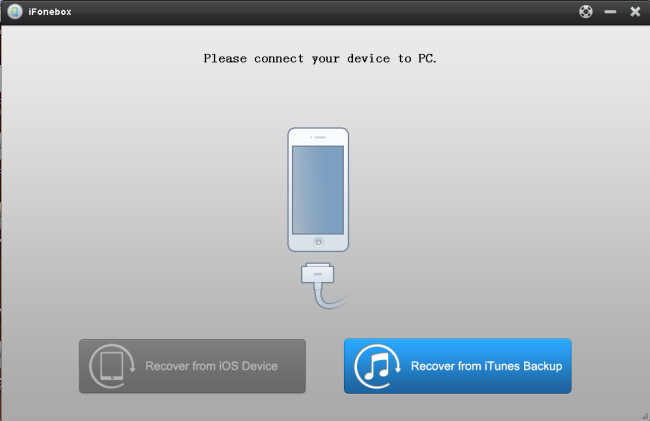 Then, select the one you want to save by clicking “Recover” bottom. Wish you success to recover contacts from stolen iPhone 5S!